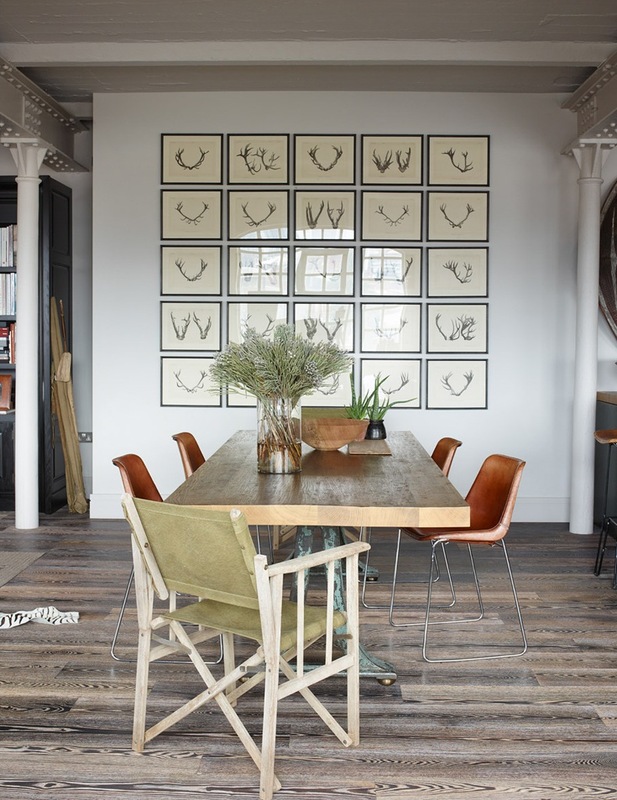 Industrial Loft Dining Area With a Collection Of Framed Pictures. 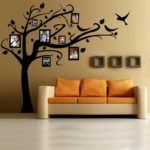 But not only wall art makes a dining room and other space complete and balanced. 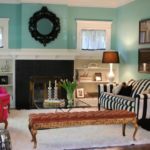 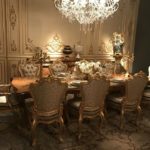 There are also other features that play the same role, for instance, a textured accent wall, an original chandelier, amazing table centerpiece, creative furniture pieces and so on. 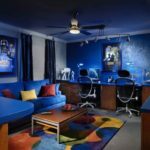 You may find the inspiration in Raven Inside Interior Design.